Some people believe that when our dogs eat grass it is because they are feeling nauseous and although there is no clear evidence to prove or discount this this, most experts think that our furry friends eat the green stuff because they are either bored if they are doing this eating whilst in the garden, or it could be a way to clean out the system, as upon eating grass the resulting liquid the dog throws up is yellow bile. It is highly unlikely that this action is a result of a bad case of nausea in the hound as such an ailment is usually an ongoing thing, not an occasional and mostly rare one-off. So, if your dog eats grass every once in a while there is probably no need to worry. However, if it is experiencing constant bouts of feeling sick then this is a different matter and could be the time to think about using CBD oil to treat our ailing pal. At this point, we need to think about how does a bout of nausea present in a dog? What are the symptoms and what exactly is nausea? We want to find out what causes the sickness and how it is normally treated, as well as how CBD oil can be used to treat the malady. And we also need to probe into just what CBD oil is, especially for those who are unfamiliar with it or have concerns about its use because of its connection to the illegal narcotic cannabis. Nausea is simply an overwhelming feeling of sickness accompanied by an urgent need to throw up. This could be a symptom of an underlying cause or there may be no real clear reason for its appearance. Usually, though, about of feeling sick can raise the possibility that the sufferer is pregnant, has gastroenteritis, is experiencing difficulties with worms or parasites or has (IBD) Inflammatory Bowel Disease. Nausea can also be caused by stress and worry, in particular, separation anxiety. Although there are several possible reasons why your dog is feeling so ill it can also easily be due to a dietary factor such as a new food, eating too quickly, taking food too soon before exercise and plain old greed – eating far too much in one sitting or perhaps the mischievous pup has come across an abundance of grub not meant for him and has sneakily wolfed the lot. Riding in cars and a response to medication are another two reasons why your dog may suffer from nausea, and suffer it can, regardless of its age, size or breed. Typical signs that a dog has nausea are a dry heaving, constant chewing, excessive drooling, and constant licking to name the more prominent examples, but even then, these indications to the health of a dog could easily be dismissed especially if mild. Sadly, because our dog can’t tell us he is nauseous and it doesn’t present itself as a swelling or obvious cut, it can often go undiagnosed for some time which can sometimes be dangerous and always results in prolonged suffering for the patient. The best tip-off as to where or not the animal is suffering nausea as opposed to a different condition that shows similar tells is if it becomes prone to outright and frequent retching and diarrhea. When we humans experience nausea, as we all do from time to time, we usually think of it as an unpleasant inconvenience rather than a significant illness and it usually passes quite quickly unless it is a sign of something more serious and the same goes for our pet. Some people rush their animal to the vets and are the prescribed expensive antiemetic drugs which in most cases are unnecessary as the malady will pass in time on its own. CBD oil will help to treat your dog and is relatively inexpensive should you be concerned enough to think it warrants some sort of treatment which raises the question, just how serious can nausea in canines get? As stated, most instances of nausea in a dog, even quite acute ones, will pass in time and will prove to have been harmless, but there are occasions where it can become a serious health issue especially if it is accompanied in the shape of appetite loss, vomiting, and diarrhea. If prolonged nausea combines with those issues then the dog can become seriously underweight and therefore undernourished and dehydrated which may result in muscle wastage. If this does occur to a dog it usually means this condition is part of a larger malady or a reaction to a medical treatment. Chemotherapy when treating cancer is widely known to cause pretty awful nausea in not just dogs, but humans and other mammals as well. 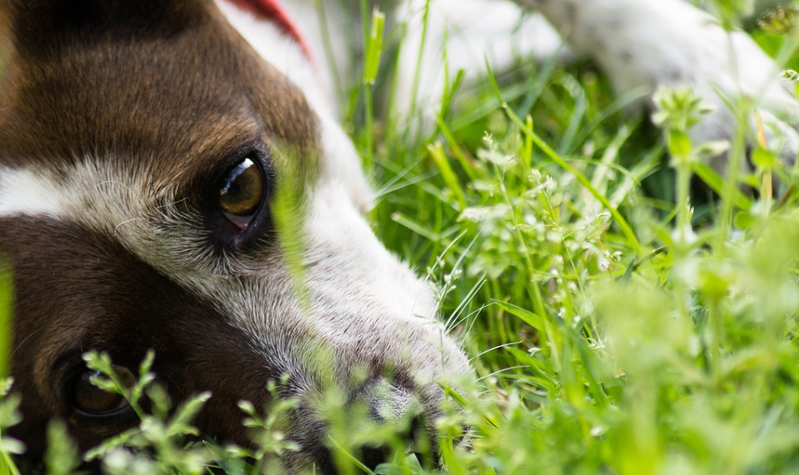 Although chemotherapy for dogs is not as intensive as it is for humans, the resulting nausea and loss of appetite they can suffer are still pretty intense and stressful. Sick dogs tend to find it more difficult to fight off a disease like cancer, or any other illness for that matter, if they are left too exhausted and unfit due to nausea and are unable to eat a steady and balanced diet which would give them the strength to take on an illness. Older dogs too can waste away if their malnutrition isn’t stopped as they need all of their strength just to keep going. 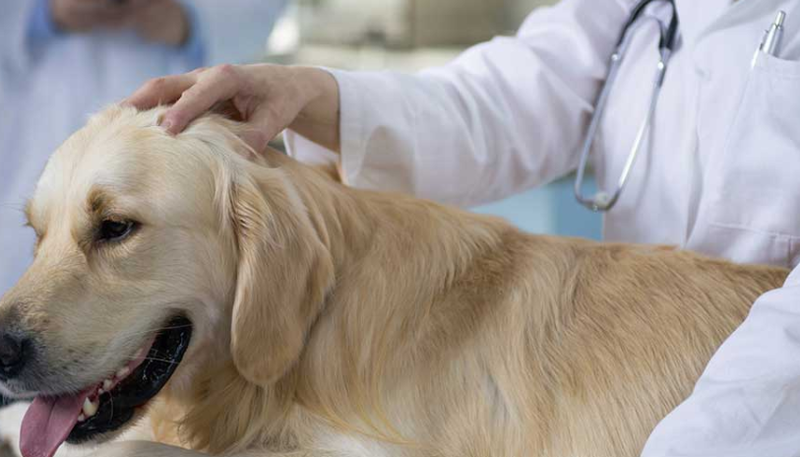 Adding CBD oil to the diet of any dog suffering any illness will almost always assist in the dog’s recovery and is particularly useful for combatting stress and nausea but it isn’t the only way to ease the symptoms. As said previously, the majority of nausea cases last a short time and quickly remedy themselves. Sometimes though a case can be chronic and longer lasting and in these instances home made medication can have a satisfactory result. Kefir, for example, is a milk drink with a yogurt-like texture and is full of probiotics which are healthy, living bacteria that can ease the sensation of nausea and generally calm things down. Once it settles the stomach the vomiting will eventually ease, and the animal will be a good deal happier and after a time may begin to eat and start to regain its strength. You can purchase kefir suitable for use as a way to combat nausea over the counter or prepare it yourself using Kefir granules mixed with organic and pasteurized milk. For small dogs, one to two teaspoons every three hours should be sufficient. Larger dogs require up to two tablespoons of Kefir at the same intervals and the biggest dogs might need up to four tablespoons. Another popular home remedy when dealing with nausea in dogs is baking soda. Add a teaspoon to a cup of water and allow your pet to sip at it at will. The bubbles in the mixture can help bloating and nausea but this mixture does not possess the most pleasant of tastes, so you may struggle to get your dog to drink it. For as long as history has been recorded ginger has been included in tinctures and potions and administered as a medicine. A single capsule or a helping of root extract can be extremely effective in treating your dog’s tummy troubles, although it has quite a sharp and tangy edge to it so again, you may have a battle on your hands persuading the dog to take it. It is also going to prove fruitless mixing any of the remedies mentioned with your pets food assuming its appetite is non-existent and therefore unlikely to touch its dinner. Metoclopramide or Maropitant which are examples of synthesized antiemetic drugs used to deal with severe cases of nausea and all that is associated with it. This is where CBD comes in as a one hundred per cent organic, sustainable and natural alternative. CBD or cannabidiol is derived from the same hemp plant as cannabis but that is where the similarities end. The hemp plant can be used in the production of many, many things including, medicines, body care and beauty products, clothing, as a replacement for oil based plastics and can even be cast into building blocks that will be used by the construction industry. Although gaining widespread use and acceptance, CBD has been slow coming to the fore because of its connection to its cousin the narcotic. Indeed, it has only been in recent years that the farming and production of hemp and it use in the US has been legalized, but since then its increase in popularity has been nothing short of staggering. The difference between the part of the hemp plant used in medicines and the like and that which produces the drug, is that the opiate version contains large amounts of THC (tetrahydrocannabinol) which is the element of the plant that produces the state of euphoria cannabis users desire. However, the part of the plant used in CBD oil contains next to no traces of THC and is therefore harmless, non-addictive and perfectly legal. So how is CBD oil going to help with a dog’s acute nausea? Well, all mammals have what is called the endocannabinoid system which is responsible for producing endocannabinoids which are very similar to CBD oil. The endocannabinoid system works throughout the body via a series of receptors, vitally, some of which sit in the brain and stomach and when the patient in question takes their dose of CBD oil it teams up with these receptors replacing missing or low levels of cannabinoids and begins to restore balance to the entire body thus settling the gut and relieving the sensation of nausea and reducing vomiting. Research has shown that CBD has an effect on a receptor called 5-hydroxytryptamine-1A (5-HT1A), which is a receptor for serotonin in the brain. A study in the UK Journal of Pharmacology found that when CBD interacted with that receptor it greatly reduced the sensation of nausea in rodents. Research also demonstrated that these receptors were prevalently located in the sites of the brain and the gastrointestinal tract that is predominant in the role of causing nausea and vomiting and the same study showed that activating these areas with the taking of CBD oil, greatly increased their activity and reduced the feeling of sickness as well as the constant retching. The affirmation of CBD oil as a treatment for nausea has led to it being widely accepted and used as a treatment of nausea, particularly for patients suffering from the side effects of chemotherapy and those caused by the drugs used to treat AIDS patients. And that is well and good but how can we know that CBD will be as effective for our canine friends? The answer is extremely simple, humans, rodents, horses, foxes and dogs and so on all have exactly the same endocannabinoid system – in fact, all mammals do. Obviously, it varies in size dependant on within which animal it sits, but regardless of the species, it functions in exactly the same way, so we can say without hesitation, that it will work in dogs. And it does, as these following case studies prove, and which are just a few of the many success stories you can read about over at canna-pet.com. Murdock is a gorgeous miniature Australian Shepherd who likes trips out but suffered from awful motion sickness and also had anxieties over being left alone. His owners had heard of CBD treatments and had no hesitation in trying it out on their pup. A single dose was enough to ease the travel sickness to an acceptable level which made for a much calmer and happier dog and the problems with being left alone are also solved as Murdock now happily runs into his cage and awaits his CBD treat just before his owners leave! Sylvie the Golden Retriever was receiving treatment for cancer and the side effects were just awful. Her stomach was constantly upset, she showed no desire to eat her food and found it extremely painful when vomiting as there was very little remaining which she could bring up. But now she has come to rely on CBD after her owners carried out some research online and decided there was nothing to lose in using it to treat Rosie as it was perfectly safe and the worst they feared was that it would not work. But it did, and Sylvie soon hardly ever vomited, rarely appeared unduly uncomfortable and actually began to eat which in turn gave her strength to fight against her disease. Lastly, there is Bear, another Golden Retriever. Like Murdock, he also suffered from travel sickness and anxiety when in the car. Such was the problem it had started to impact the lives of his entire family and after a visit to the vets, they tried CBD as had been suggested. The results were remarkable, after a couple of smaller tester trips they managed to travel from Syracuse to Chicago, (a trip of over 1000km!) and Bear was not sick once. Indeed, such was his calm and settled demeanor he spent the entire journey with his head out of the window admiring the scenery! Those are just three examples of how CBD oil changed the lives of not only the dogs concerned but also that of their owners. CBD oil does work and of that, there is no longer any doubt, but which CBD treatment is best for your dog? There are a lot of products out there, so it is a good idea to put a little time into researching which are of the highest quality, the best value for money and who are the most reputable and trusted retailers to purchase from. 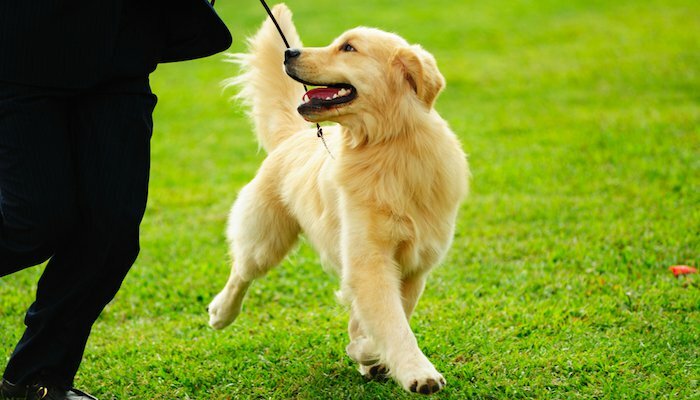 Dog and CBD websites usually have forums and there are almost always threads concerning canine health, CBD, and more specifically there will be sections dedicated to the problem of nausea. The two companies most often praised on these threads tend to be Canna-Pet and King Kanine. 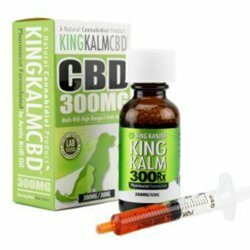 King Kalms CBD 150mg is an effective mid strength CBD treatment which is highly effective at dealing with nausea in dogs. It is administered by putting a drop or two of the mixture under your pet’s tongue which is quick and easy to do and a lot less trouble than trying to encourage it to eat food or drink unpleasant tasting liquids and will derive much, much quicker results as well. For times when you know your dog is going to feel nauseous as after chemotherapy or when you are about to go on a car journey, tablets and capsules can be taken as a preventative measure. King Kanine and Canna-pet both offer a range of great tasting treats your pet will both enjoy and benefit from. 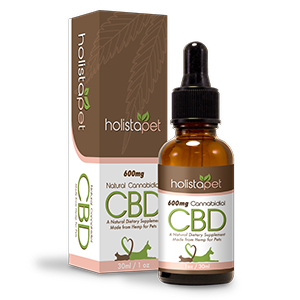 Holista Pet is another company that gets excellent reviews on web sites and which offers effective and fast working CBD capsules. 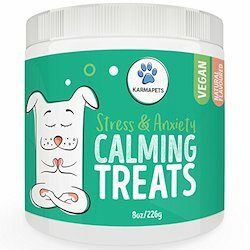 These are available in three sizes, small, large and medium and are perfect for hiding in your dog’s food which is fine if your dog isn’t feeling sick yet, but when he or she is, then it’s the CBD oil which is much easier to administer. To clarify, tablets and capsules are preventative measures for when you know your dog is going to become sick, CBD oil is for treating animals that are already suffering and are much less likely to eat CBD in a solid form or hidden away in their food. 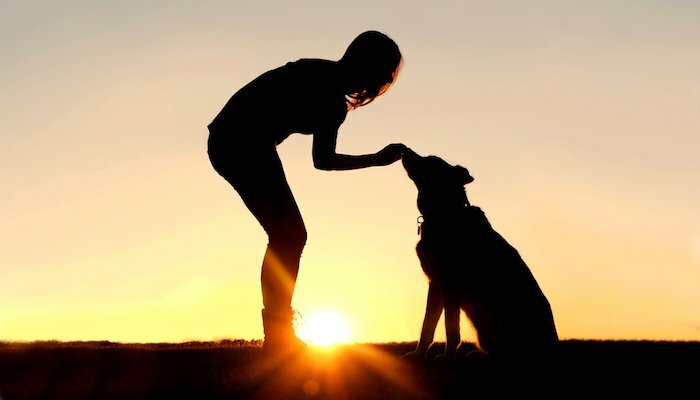 Whichever problem you are facing you can rest assured that after giving your dog CBD oil in any of its forms, your faithful pal will thank you for it.